Swedish beauty brand Isadora has really impressed me of late. The line is usually found in pharmacies or the occasional department store and includes some real gems – I’ve previously tried and liked the matte bronzer, Jelly Kiss lipstick and their Fine Liner Stylo (which is a felt tip pen eyeliner to you and me). 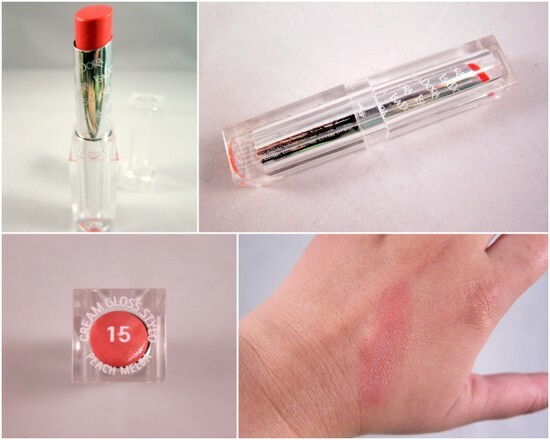 When I was given the chance to try a few more products by the brand, I was thrilled to include the Glow Stick in Rosebud (€15.50) which gets a lot of love out there in the blogosphere. And now I see why – this illuminating blusher is a pretty, soft pink shade that’s super flattering, and gives a youthful radiance. Word on the street is that an additional shade will be released as part of the brand’s latest collection – I’ll keep my fingers crossed. 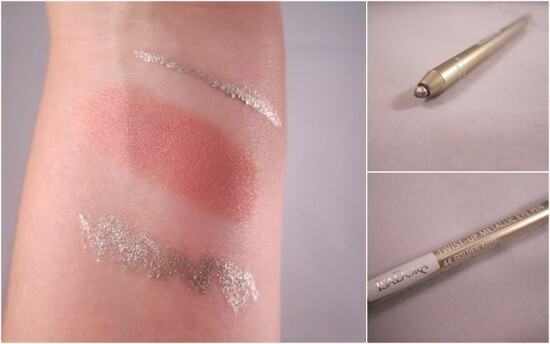 And just look how pretty the metallic eyeliner looks beside Rosebud! Metallics are a massive trend for autumn and winter and this stunning shade – described as golden khaki but really more of a platinum gold – is the perfect way to dip a toe in the trend. It’s beautiful, it lasts well, there's no sharpening required and it’s reasonably priced, at €10.95. Fan of the Revlon lip butters or L’Oreal Rouge Caresse lipsticks? Then you have to give Isadora’s Cream Gloss Stylos a try. This one, Peach Melba, is just delightful – a soft coral shade, it imparts a pretty sheer colour and feels like the creamiest lip balm around. It’s €12.95. 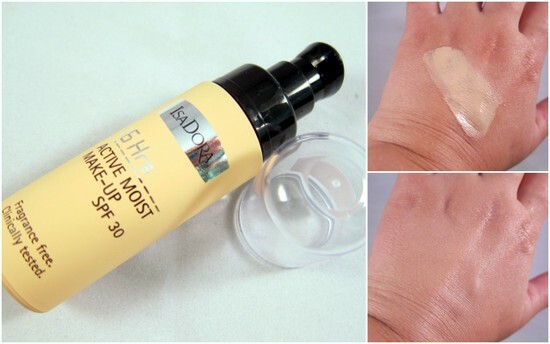 If you have normal to dry skin the 16Hrs Active Moist Make Up could be for you. I love the formulation and the shade I was given, Fair Beige (the second lightest of six), but it’s not quite right for my combination skin. It goes a little patchy where I’m oiliest – on my tzone - but my dry cheeks love it. With SPF 30 and skin friendly ingredients like pomegranate and sweet almond oil, this looks fresh and has good coverage levels too. The last product I tried out was the body bronzer brush, €12.95, the perfect partner to the massive Isadora bronzer I already own. It’s super soft with an extra large kabuki brush head, making it easy to sweep the powder on to my neck and shoulders for a bronzey sunkissed look. You’ll find IsaDora in pharmacies and selected Debenhams (Limerick, Blanchardstown & Tallaght) and can check out the products online. Have you tried ‘em yet? 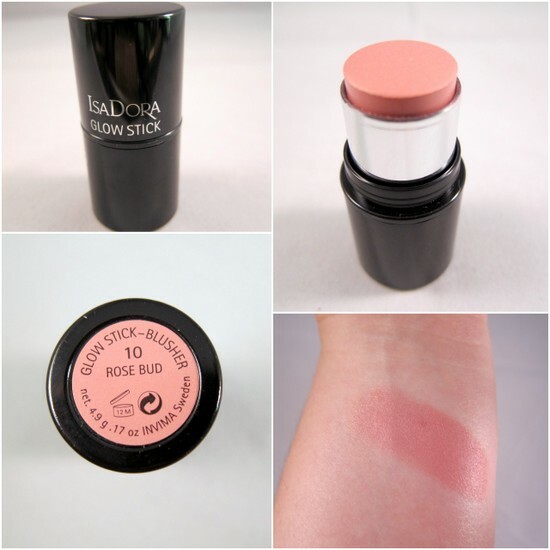 The rose glow stick is my fave blush ever..
Love the metallic eyeliners & the glow stick! The color of that Rosebud Glow Stick is oh so pretty! Have a fab weekend Emma! I love the metallic eyeliner! I always use black but now I'd be curious to know what it would look like on me. Oooh would love to try that blush and bronzer! DO you ever do pictures of yourself all done up in your goodies, I would love to see what it looks like! That creamy blush and lip balm sound perfect, though I haven't seen this brand here in the U.S. I dont think? The glow stick looks amazing, the perfect pink! Love your reviews. I have never heard of this brand, I now have to try it.